Though the official slogan is "City of Roses," the more recent catchphrase "Keep Portland Weird" is much more appropriate for the innovative, quirky metropolis in northwest Oregon. The World Naked Bike Ride, yarn bombing, beards, and one-of-a-kind businesses grace the strange city. Plus, now that Oregon has legal marijuana for medical users (1998) and adults (2014), this already-green city is generating some of the most cutting-edge dispensaries in the United States. Come learn about & see incredible photos of the 10 unique dispensaries in Portland in alphabetical order! Please briefly tell me about the Company's History. 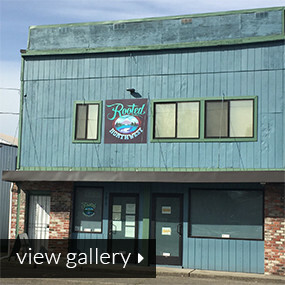 We started in 2015 initially as a medical dispensary here in Portland. We have two owners, one of whom is a head grower: Green Bodhi. He sources all his product to our shop, so we are a bit unique in that way. How many locations do you currently have? How many are medical/adult use? 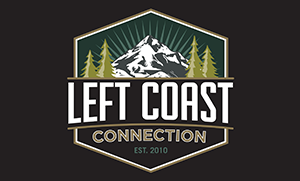 Do you have plans to expand within Oregon or to other legal states? We currently have one location. There's been talk of possible expansion but no set plans as of yet. The legal cannabis world is still young here in Oregon. Do you have a favorite local infused edible or concentrate company? We love the folks over at Evolved Organics. They are a wonderful CO2 processor out of Eugene producing some of the best quality oil in the nation. 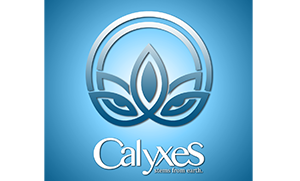 Green Bodhi and Calyxes have been working exclusively with them for cartridges and extracts. You made this list because consumers find your store unique. What do you believe sets your dispensary apart? The physical design of your stores? The Selection? The way you train budtenders? The shopping process? We are the very first Clean Green Certified dispensary! Clean Green is a third-party organization that certifies cannabis nationwide as cultivated using sustainable and organic practices. This natural focus really matters to people here in Oregon; they want to make sure they're getting clean medicine. That's always been our focus: to provide clean, natural product to everyone. Another differentiator would be our CBD-donation program. You can go to the website if you're in serious need of CBD, cases like cancer or children with epilepsy. It's something that we and Green Bodhi are very passionate about. Hospital bills quickly drain finances, and CBD can potentially do a lot for a patient's health. 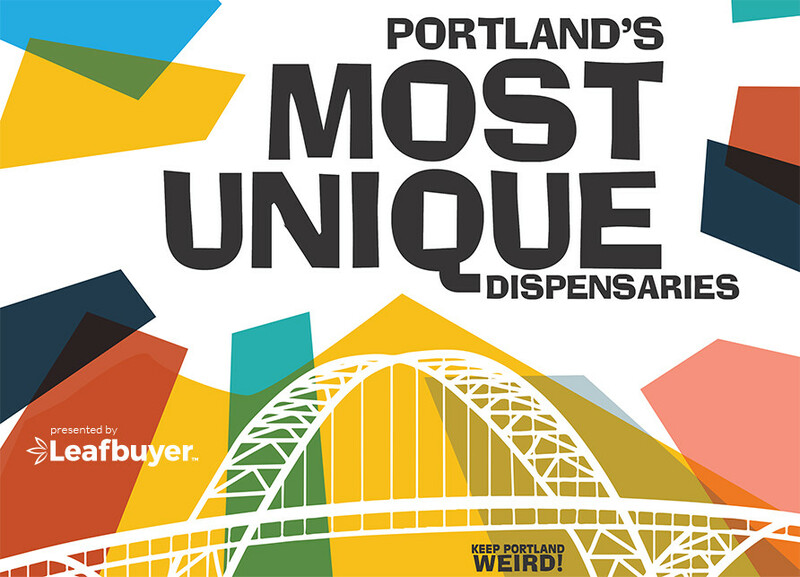 Also, most dispensaries are based on the east side of the river in Portland. We are nicked away in an older Southwest Portland neighborhood called Multnomah Village. It has a cool, fun vibe over here. The shop itself is really inviting, very relaxing you know. It's meant to appeal to everyone - an older woman for example. It doesn't always have to be reggae music. All people can and should always enjoy the experience of buying cannabis. Cannabis has kind of been normalized as a medical reality for so long that most people are very comfortable with it. The city itself is known for the kind of unique vibe, so it's fun to just explore and find something new each day. I love the zoo and that area near Forest Park and Antrim. There is a lot of hiking to do it right within the city which is amazing! Chalice Farms was founded in 2014 by William Simpson and is a leader in Oregon's cannabis industry. Our employees have 100+ years of combined experience in the cannabis industry, and a passion for cannabis culture. Over the past several years, we've earned numerous awards and accolades, most recently Oregon's Cannabis Store of the Year. Headquartered in Portland, Oregon, Chalice Farms provides superior quality through rigorous evaluation, outstanding customer service, and an environmentally sustainable business model. In doing so, Chalice Farms is creating the highest standards in the cannabis industry. The 4 current Chalice Farms locations adhere to all Oregon laws regarding the sale of recreational cannabis and related products. Chalice Farms is licensed for recreational sales in the state of Oregon, for those 21 years of age, and older. 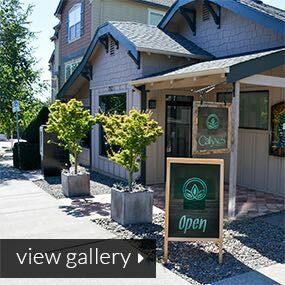 Chalice Farms does not currently have OHA locations, for those with seeking OMMP benefits, however we welcome anyone who meets the OLCC guidelines for purchasing recreational cannabis to visit any and all of our four Oregon locations. 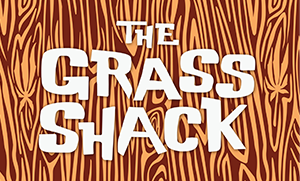 Do you have plans to expand within Oregon or to other legal states? We have plans to grow in a way that aligns with our company's values and mission statements. Those plans include additional locations within the state of Oregon and expansion into other states as well. Do you have a favorite local infused edible or concentrate company? I respect all of those in our cannabis community, locally, nationally and internationally that are using natural ingredients wherever possible, using sustainable business practices, supporting one another when the opportunity arises, and sharing our vision to embrace community, wellness and lifestyle. About 20 feet from my office is our concentrate laboratory and edibles department with enough machinery, gizmos, and gadgets to impress James Bond. Every day I see the level of detail and care that go into these processes. Chalice farms edibles and concentrates are the best in the business. We believe that the design of our dispensaries represents who Chalice Farms is as a company including our authentic love for the Pacific Northwest and the active lifestyle of our community. 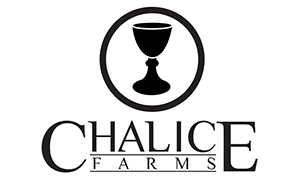 At Chalice Farms we value the individual needs of our customers and aim to provide them with the utmost care and consideration. Our budtenders are knowledgeable and skilled in all aspects of cannabis. They are thoughtful, helpful, and respectful; they listen to our consumers and understand which products to recommend to best meet that customer's goals. We pride ourselves on providing superior products, through a rigorous evaluation process, ongoing quality control improvements, as well going above and beyond industry standards. Portland has a lot of unique places providing different perspectives that are reflective of those in our community. I enjoy the ability to visit various places in Portland, from the festivals and celebrations, to embracing the outdoor lifestyle and surfing on the Oregon coast. The best thing about Portland is the constant opportunity to experience something new. My two sisters and I opened our medical cannabis dispensary in July of 2015, we then participated in the early adult use sales program that began in 10/2015. On October 1, 2016 we were one of the 1st retail locations in Portland to be licensed by and operating under the OLCC. We strive to provide quality cannabis, experienced and knowledgeable budtenders who provide excellent customer service. 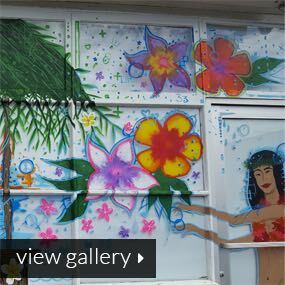 My sisters and I grew up on the Big Island of Hawaii and we love to bring a little taste of the island to our shop. We currently have 1 location at 6802 NE Broadway St. in Portland. We are a recreational shop for anyone 21 years and older, and we are able to sell products to registered OMMP medical customers (who are exempt from paying the tax). There have been discussions about expansion, however we have no concrete plans to announce at this time. The cannabis adult use industry in Oregon is still evolving and growing quickly. We have very good relationships with many of the local companies in this ever changing and growing industry, which makes picking just one favorite very difficult. Many of the smaller local companies we worked with prior to transitioning over to the recreational market are no longer available. One of our favorite infused edible companies is Peak Extracts, they make strain specific chocolates which our customers really like, since they know what strain they are ingesting. We are in a neighborhood located in NE Portland, the neighborhood has been extremely welcoming and supportive of our shop. We enjoy being the neighborhood shop, that also welcomes and is supported by many customers from all around the Metro Area. We are professionals and we treat our customers with dignity, respect and a sense of family (ohana). We care about our customers and they let us know how much they appreciate us being here. We are also known by many for our "Flower of the Week", special that starts every Sunday. Our budtenders are awesome, they are very knowledgeable about products and the industry. The shopping process? We encourage customers to look at and smell any of the flowers they are interested in, prior to purchase. There is no minimum amount of flower that needs to be purchased, if someone wants a certain dollar amount, we are happy to weigh that dollar amount up for them. What is your favorite aspect of Portland? Portland is a wonderful city, with so many great aspects, from your the choice of food carts, to the annual festivals, outdoor activities, wineries, sporting and musical events and of course the mountains and the coast are just a short ride away. 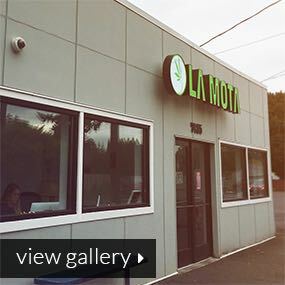 The La Mota vision was to open a retail store that offers a wide variety of Cannabis in terms of strains, concentrates, edibles, glass, extracts - all your cannabis needs. We aim to be the retailer that provides the absolute best customer service in Oregon. We currently have 15 locations with plans to open 5 more before the end of summer 2017. Our favorites are Hush Extracts, and Chocolust CBD Chocolates (Wild West). I believe it would be our enormous selection and convenient locations in almost every city in Oregon. We present a carefree and casual atmosphere for any type of consumer. The skateboard park under the Burnside bridge known as "Burnside side." The unique all-concrete skateboard park's transitions and bowl set it apart from any other skate park. 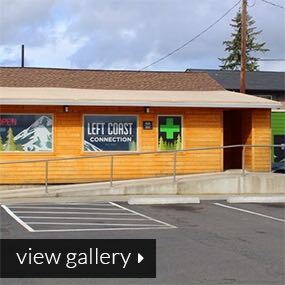 We started about two years ago as a medical dispensary. As the rules and regulations changed to promote a recreational market, we moved too, so we now serve both medical and recreational. Right now, we have just the one location. Expansion depends on how the market keeps evolving. I really like Lunchbox Alchemy. Their Squibs and Shrapnel are excellent. The Shrapnel pieces resemble Jolly Ranchers and are always a big hit. We have a really good selection. Just looking at our flower, we have a wide variety, some for a very cost-conscious shopper. Just look at our $79 Ounce program! We aim to have the best deals and bargains. Shoppers really get a lot for their money. We want to be the one-stop shop - to have a selection with all the respected brands of edibles, vape pens, rubs, tinctures - everything! Plus, we know to expect a wide variety of users, some that are experienced or others that are maybe new and a little hesitant to come in and ask questions. We keep it fun and upbeat and give a 1-on-1 experience every time. For new customers, I encourage them to ask about the flower and smell it, and I try to educate my budtenders using all the information that our vendors provide on the products. We get people from 21 to 70 years old and older. I love hearing their stories of how the medicine helps them get off pain medications or helps with diabetes. You can see come back more upbeat each time. I love the outdoor concerts and hiking the coast. We are a very outdoorsy group. 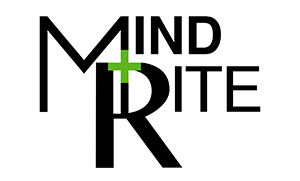 At the beginning of 2015, my wife and I started developing the concept for MindRite. Once the Cole Memo was put into action, we thought it provided enough safety to enter into the cannabis industry. We wanted - out of a love for cannabis - to present it to the public in this neighborhood in a really positive and educational way. We currently have 1 locations and have plans to expand soon! From the onset of MindRite we made a decision to have a full spectrum of products not just specifically for psychoactive effects, so we have quite a few high CBD products. CBD has a lot of the medicinal aspects that are associated with cannabis without the psychoactive effects. Users are completely functional. It is an analgesic, so it's great for pain. It's an anti-inflammatory, so it's great for people after workouts or for those who have inflamed back issues. It even helps with topical treatments for soft tissue and muscle issues. CBD was in Charlotte's Web, the strain designed to help Charlotte, a young girl with epileptic seizures. She was absolutely nonfunctional before cannabidiol. It has antispasmodic properties and anticonvulsant properties. Right now, we are just now in the early stages of finding out all the different applications for cannabinoids that match someone's biochemistry. Another great product is our CBD honey sticks, and for more of a psychoactive effect, our caramels by Periodic Edibles are a favorite! You made this list because consumers find your store unique. What do you believe sets your dispensary apart? There are quite a few things that set us apart. Our employees are extremely passionate about cannabis, and we've developed a system for constantly updating our knowledge and educational materials. Together, we review different strains and products, and we share important knowledge that we get from personal research as well as anecdotal evidence from friends, family members, and customers. We never want to appear condescending. We want to be able to talk to everyone on their own individualized level; we don't want to over-talk to people or dumb it down to a place where they think cannabis is kind of trivial. Cannabis helps different people with different aspects of their life -whether it's for stress or more of a physical condition. We really try and make proper recommendations based on questions that we ask the customers, to get the right products to the right people. Then, we always ask that they come back and let us know what they thought so that we can then make better recommendations in the future. All types of people walk in the door -from soccer moms to doctors to priests, really all walks of life. It can be a very daunting first impression. 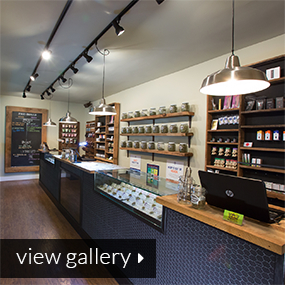 You come in and see a large wall filled with 30+ jars of cannabis plus all the displays with different products. We aim to set the bar when they go to the other shops -if they go to any shops. Giving such individualized attention helps bring cannabis out of the shadows and release that stigma that's been so dominant for almost a century. We fight the notion that big pharma pills prescribed by a doctor are better for you than cannabis. Maybe a pill can help with one particular facet of your ailment but then there's 15 other side effects. That is not the case with cannabis. This plant is very versatile and has very minimal side effects. We're still just in the infancy of understanding all the applications of cannabis. Portland is an amazing city that embraces small businesses and let them flourish. We have a great sense of community. We really try and set ourselves apart, and it's paid off. 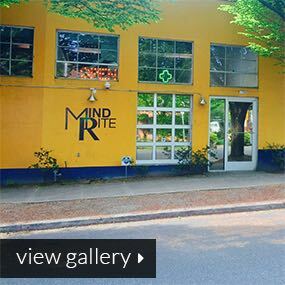 I would really like to invite everyone that reads this article to please come to Portland and check out everything the city has to offer, especially MindRite! Whether you seek an introduction to cannabis or you are an expert, we would love to just converse with you and show you what we have to offer. Give an honest day's work for an honest day's pay. Take pride in everything you do regardless of how small or large you believe the task to be. Together we will do great things - Nectar is always a team effort where no one person is greater than the team. Treat everyone with respect and dignity - teammates, customers, and vendors. Hard work, determination, and a can-do attitude will take you places you never thought you could go. Customers responded very well to our vision and implementation. It was so rewarding to help those first consumers that the idea of opening more locations just seemed natural. We believe that the work environment can be both productive and fun at the same time. Those simple beliefs, coupled with smart business decisions, have helped our vertically integrated cannabis brand become the market share leader in Oregon. 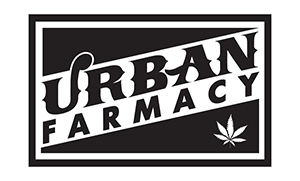 Currently, we have 8 locations in Oregon in the cities of Portland (5 Dispensaries), Gresham (1 Dispensary), Eugene (1 Dispensary) and Tillamook (1 Dispensary). At each location we service both medical and recreational customers. We have 3 more locations secured and we are always looking for other opportunities. We are looking at other states too. As Cannabis legalization continues to increase we would like to become a national brand. Looking at stats, we serviced 6.24% of the Early Recreational sales program implemented by the Oregon Health Authority in 2015 - 2016. 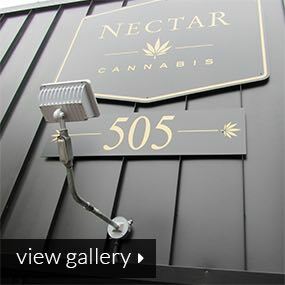 Nectar has a long and steeped history in assisting medical patients which explains why 19% of the Oregon Medical Card carrying population patronized Nectar locations. We make a point to assist our medical card holders with specific medical patient service areas, employing some of the most knowledge medical budtenders and allowing product holds for our existing medical patients. We have forged deep, meaningful, and mutually-beneficial relationships with numerous vendors. Our vendor roster includes everything from indoor boutique cultivators, high end concentrates makers to affordable dab processors with every edible you can imagine. My favorite product is Select Strains CO2 cartridges. The quality and selection of their oil and reliability of their cartridges have never wavered from the day that their founder and owner, Cameron Forni, demonstrated his first batch of prototypes to me. I would divide our unique aspects into design, education, and selection/price. Our design team's eye for detail is what allows our stores to shine. A few years ago dispensaries were dark afterthoughts. We believe walking into a dispensary should be no different than walking into a high-end pharmacy or liquor store. We want each customer to have a positive, educational, and uplifting experience. We have designed our stores with that philosophy in mind. We believe employee education is the key to our success. Our budtenders are our front lines, so we put tremendous care into each new hire. We consistently work to iterate on employee training programs and knowledge transfers. 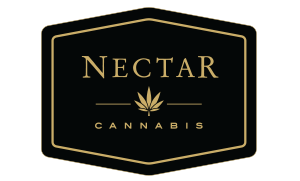 Nectar carries a wide variety of products from over 500 flower strains to 50 different types of concentrates to our sweet and savory edibles. We actively discuss product selection at our weekly meetings, and many of the new products we carry have their origins in customer request. I would say the food carts areas throughout Portland. They are really microcosms of commerce. A few hot restaurants in cities such as New York or Las Vegas once started as simple food carts - much like Nectar started as a one-field grow. This commerce-in-action provides good value and selection to a customer, reinforces our ideology at Nectar that with enough dedication, hard work, and a little luck, you can do anything you set your mind to. 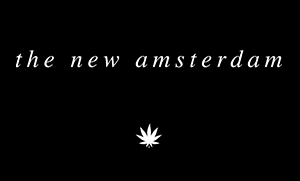 We are a focused brand born from the want of a design forward dispensary experience. Living by the "successful stoner" mantra, we've treated this industry like any other. Bring a great product to market and present it in the best possible way. We have one flagship in Portland and we serve anyone over the age of 21. We are currently focused on Portland but we are excited about our future. We tend to stand out based on the quality or our products, partners and presentation. Our flower, oil and edibles are chosen based on a unique selection system. We also have lunch and learns set up for staff and customers a like to learn about the newest brands, products and medical solutions. I'm a grower myself and started working in the cannabis industry of Portland about 12 years ago. Basically, I fell in love with this plant, so I wanted the moving forward in the industry. 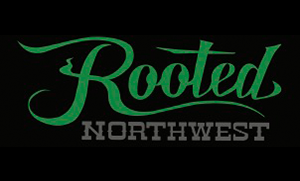 With Rooted Northwest, my dream has been to supply most of the flower and other products in the store. I want to produce and sell a product you can trust. We use sustainable methods that aren't harmful to the body unlike the synthetic salts and pesticides that big grows use to gain profits. 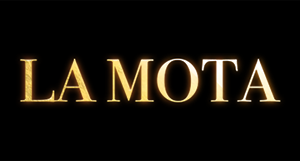 My method leads to a product that I can stand behind. We sell better quality cannabis; you can taste the difference - more terpenes and no harsh chemicals. If you are consuming from combustion, it's less harsh on your lungs and your entire brachial system over time. When you get product off the black market or from shady dispensaries, you'll be coughing constantly because who knows how it was grown. A lot of people who work for me have done so since the beginning and are very passionate about cannabis. They use these products too, so they have real knowledge to pass on to the consumer. I feel like a lot of employees at other stores don't have the same type of personal relationship with the plant. Plus, these long-standing employees have watched the company grow. They are invested, curious people who always research any question a customer brings into our store. Portland is a pretty magical city, very open-minded and accepting. Judgment isn't passed quite as much here whereas, in other cities, it feels harder to just be yourself. My co-founder, Bob (Robert Galloway), has been a close friend for a long time. When the legislation changed in Oregon, we were having lunch together and thought it would be an exciting challenge to launch a dispensary. So far, it has been a lot of work but very rewarding. The landscape is constantly changing. You can never get too comfortable. We are hoping for more permanent governing rules soon, but for the moment you really have to stay on your toes. We are definitely looking for a second location. We would like to expand, but we committed to being locally owned and operated, which can make it a slow process. I have a team of four wonderful ladies who manage operations, but I oversee most aspects of the business. Unfortunately, some of my favorite smaller operations have been forced out of business due to changes to the laws. Some of the larger-scale operations are great, though, like Oregon Candy Farm. I'm a particular fan of the candy made by Molecular Masses. They actually white label candy to several different producers. In terms of design, my co-founder Robert contributed to the decor and buildout, the stylized creation. He is the design mastermind. Culturally, we've looked at a lot of the bigger chains. They feel very corporate, and we want to keep our personal, locally-owned feel. Our goal has been to create a place that was not only clean, comfortable, and eye-catching but also full of information. We pride ourselves on helping people get a medical card or find a product that will help with their specific condition. I used to do consultation myself actually and just had to take a break for my baby. We have an education binder with hundreds of articles and information that I've collected and researched. There are so many cases that come to mind of specific people we have helped. There was a woman who came in with brain scans showing her brain tumor. The tumor shrunk massively through the use of Rick Simpson oil. A mother brought in her little boy who was nine years old having hundreds of seizures a day due to mitochondrial disease. After their discovery of cannabis and our tinctures, they got down to just a few seizures a day. My own teenage son has rheumatoid arthritis, and cannabis has been very beneficial for him, life-changing.